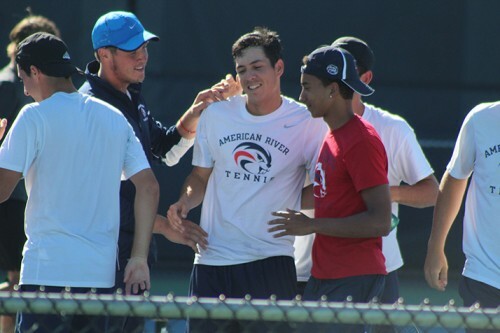 American River College’s men’s tennis team avenged last year’s loss to Foothill College by winning 5-2 on Saturday to clinch the NorCal tennis championship, the school’s first title since 1966. The No. 1 ranked Beavers entered the match undefeated in tournament play, but were in for a challenge as Foothill came out strong in doubles play, forcing the first game into a tiebreak. 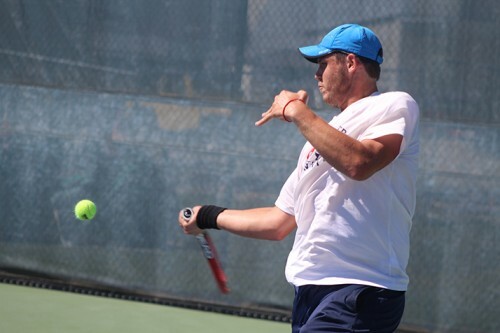 ARC players Seppi Capaul and Alex Meliuk were able to rally back from a 7-5 deficit against Braden Holt and Igor Pissarenko to tie it up at 8-8, before winning the tie breaking set 7-5. Justin Barton and TJ Auckland struggled to break the serve of their opponents on court three, before finally breaking through in the penultimate set, winning 8-6. Cody Duong and Sean McDaniel had similar struggles on court two, but ended with the identical result of 8-6. 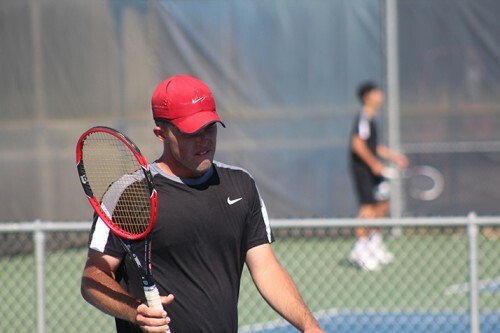 Entering singles play, the Beavers only needed two more wins to lock up the crown and got one early from Meliuk, while Auckland and Dylan King dropped their games, allowing Foothill to close the gap. 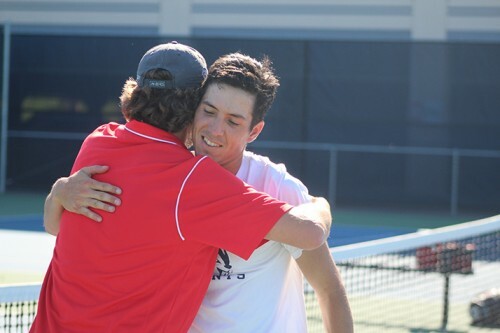 However, their hopes were dashed as Capaul finished off Jacob Strabo 6-3, 6-1, winning the title as teammates and coaches surrounded him to celebrate their historic win. Barton said that it was a great feeling to be part of such a run and relished his time on the court. With the state championship against SoCal champions Irvine Valley College set, King felt like the team could win it all if they continue to put in the effort. Coach Bo Jabery-Madison said that he was proud of the group and their accomplishments and how far they came over the course of the year. Jabery-Madison also said that the competition will be tougher now that they will play a SoCal team. ARC hosted a packed house full of family, friends, and alumni of the team including former coach Ralph Freund, who were there to cheer on the current crop of players. Jabery-Madison also took the time to single out Capaul for his performances and sacrifices for the team after accepting a less prominent role in the team for his sophomore season. Capaul acknowledged that he may have fallen off a bit compared to the last year, but was happy to win for the team. Capaul also said that the team will have to step their game up for the match against Irvine Valley if they are to win. “The southern schools take it to another level so we’re gonna have to take it up another gear and then some because it’s going to be more difficult playing them,” Capaul said. ARC will play for the CCCAA state championship against Irvine Valley on Wednesday, April 20 at Ventura College at noon. 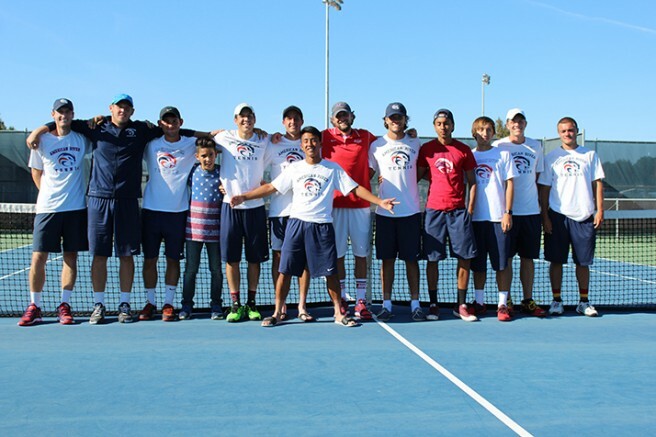 Be the first to comment on "Men’s tennis team crowned NorCal Champions"